Taking advantage of blue sky between rain storms, my husband, son and I headed out for a few hours of fishing this afternoon. 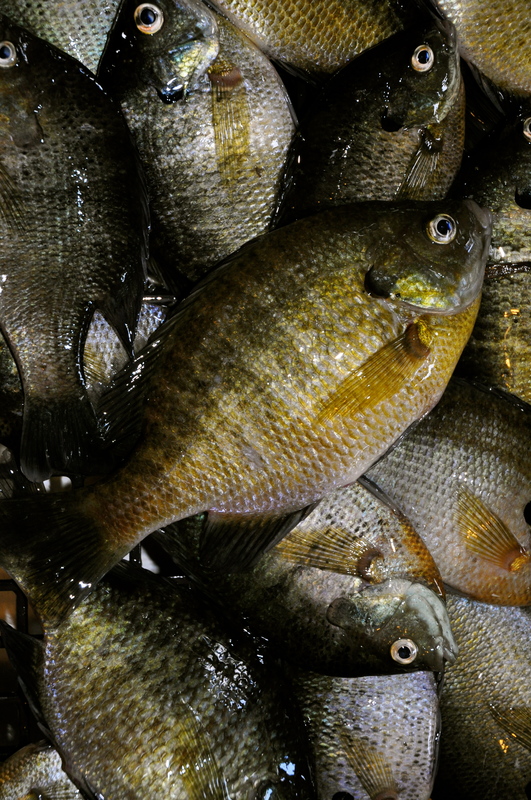 My son has repeatedly told me that, “Nothing is more fun than fishing together with family.” I could not agree more. 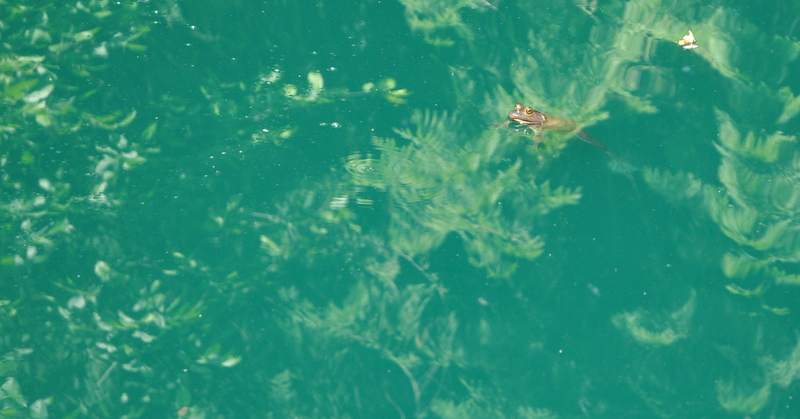 Today we were in for a surprise when we reached our favorite bluegill pond; the bullfrogs were out in force! As I approached the water for my first cast I was startled by a large frog at my feet that had yet to retreat into the water. I have to admit that I jumped a bit from his loud croak and almost fell face first into the pond. That is not how I wanted to start the day! Fortunately, I caught myself and was saved of any humiliation.